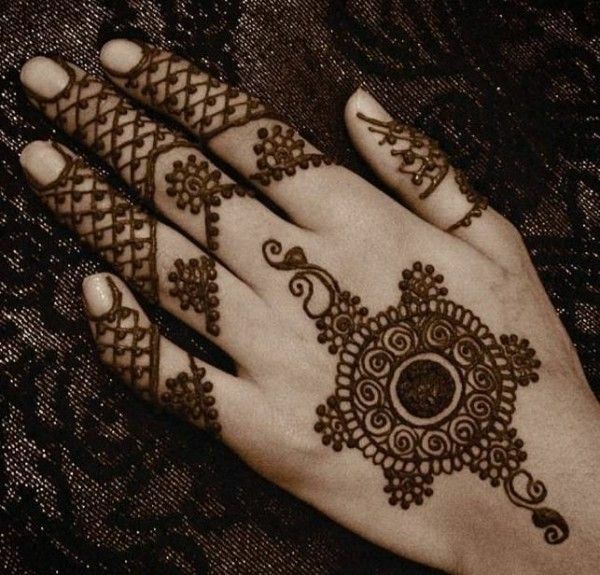 Check out 18 quirky Arabic mehndi designs for monsoon weddings and other festive occasions! 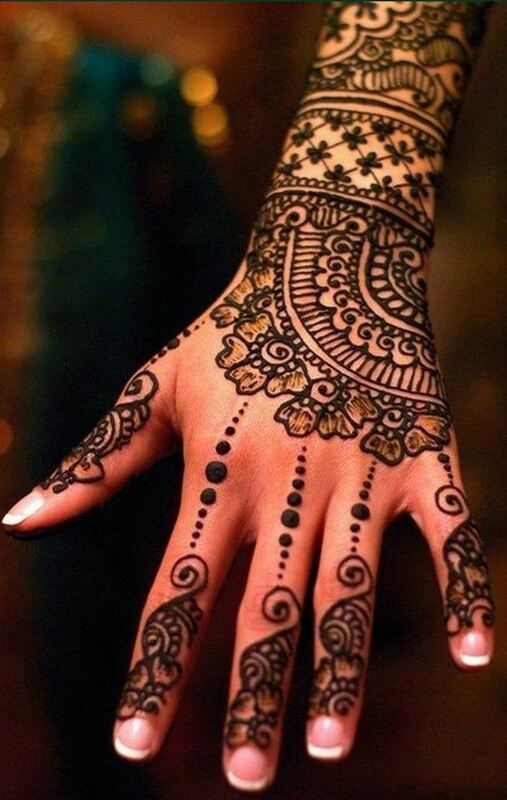 This monsoon shower, decorate your hands with aromatic, beautiful, and quirky Arabic mehndi designs. Whether it is a pre-wedding function or a festival being celebrated in your family with much fervor, just apply mehndi and flaunt it in style. Unlike more intricate and elaborate patterns which are apt for a bride, opt for something more minimalistic, flamboyant and versatile, that is easy to wear, quick to dry-off and glamorous to look at. Yes! We are talking about Arabic mehndi style. The motifs and symbols represented in Arabic mehndi design are usually floral. Flowers and leaves are arranged over a certain pattern and have thick outlines. The best part is that the entire look is very traditional but has a modern twist to it. One can also go for multiple floral motifs to fill the palm. Starting with the index finger, you can make few half angular flowers and complete the pattern with full flower motifs which ascend in size as you reach the center of the palm. Why I prefer Arabic mehndi design is primarily due to the fact that it is easy to apply, looks absolutely stunning and neat on hands. Moreover, it is amazingly suitable for any occasion. Besides, Arabic mehndi can be done at home as well. These simple designs are very much suitable for the teenage girls who are feeling quirky. It is very simple since there is no hard work of shading or adding intricate patterns on your palms. Big tikkis in the center or just about a floral string on the fingers, or how about a mesh at the back of the palm or moon and stars on the wrist? Wow! You can also go for hearts, squares, triangles and circles ;). Heart and round shapes have a special importance in a mehndi design mainly when it is applied on a wedding function. Customize it as per your needs and moods. You can add more motifs or patterns to give it more heavy look.